Forest fire and its exclusion in the last century have been key elements in the development of Western North Carolina’s forests. 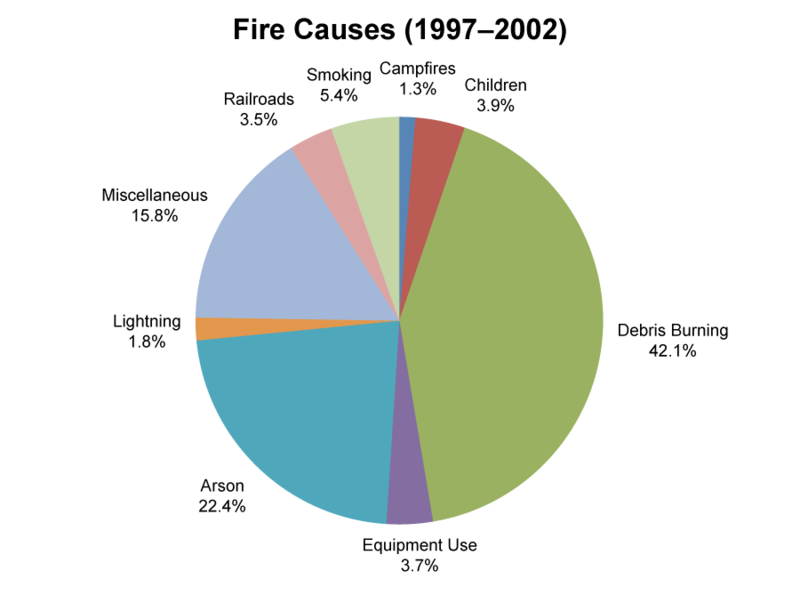 Following heavy cutting beginning in the 1890s and lasting through the 1920s, laws were enacted to suppress forest fires. It was not until the 1930s that scientists began to challenge the practice of eliminating fire from natural ecosystems. After much debate, the practice of intentionally igniting wildland fires and permitting naturally-occurring fires to burn was adopted. As a natural component of the forest environment, periodic fire contributes to the diversity of plant communities, the natural succession of pine-hardwood communities to hardwood stands, and reduction of fuel loads. 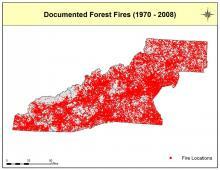 Many native forest communities are fire-dependent or fire-influenced, including chestnut-oak, dry oak-hickory, dry-mesic oak-hickory, high elevation red oak, montane oak-hickory, and pine-oak heath. Wildland fires burn in a mosaic pattern due to variability in wind direction, temperature, moisture, and type of vegetation. Fire can be managed to increase benefits and decrease damage to forest ecosystems. By controlling the intensity of a fire, soils become richer in nutrients rather than more erosive. Wildlife populations benefit from new nutrient-rich plant growth, the creation of open areas, and lowered risk of catastrophic fire. In this region, prescribed fire is necessary to enhance habitat for some threatened and endangered species and to initiate recovery in areas impacted by insect infestations. 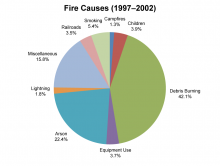 A few invasive plants are controlled by fire; conversely, fire can dramatically increase some invasive plants, including princess tree, tree-of-heaven, Chinese silvergrass, and spotted knapweed.